Mayfair Book Auctions | TALANI, Vincenzo; Nicola Gervasi. Raccolta di sessanta piu belle vestiture che si costumano nelle provincie del regno di Napoli. MBA002: Lot 55. TALANI, Vincenzo; Nicola Gervasi. Raccolta di sessanta piu belle vestiture che si costumano nelle provincie del regno di Napoli. Send Enquiry for TALANI, Vincenzo; Nicola Gervasi. 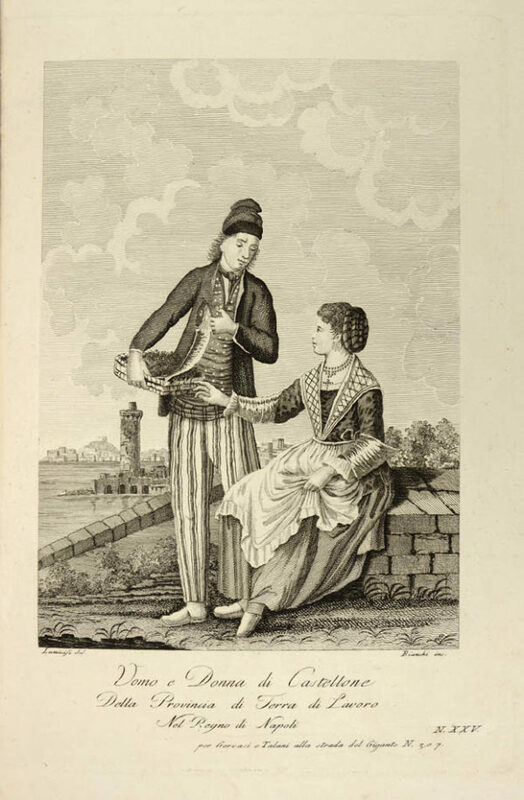 Fine, fresh example of this depiction of the costumes of Naples. Of great rarity: no copy found on COPAC; OCLC lists New York Public Library and Bibliotheque Nationale only. The present work was produced at a time when this subject was of considerable interest. On the instigation of the Marquis Domenico Venuti, the King of Naples, Ferdinand IV, had commissioned various artists to produce watercolours of native subjects for the royal factory of Capodimonte porcelain, probably in order to raise the profile of the kingdom. 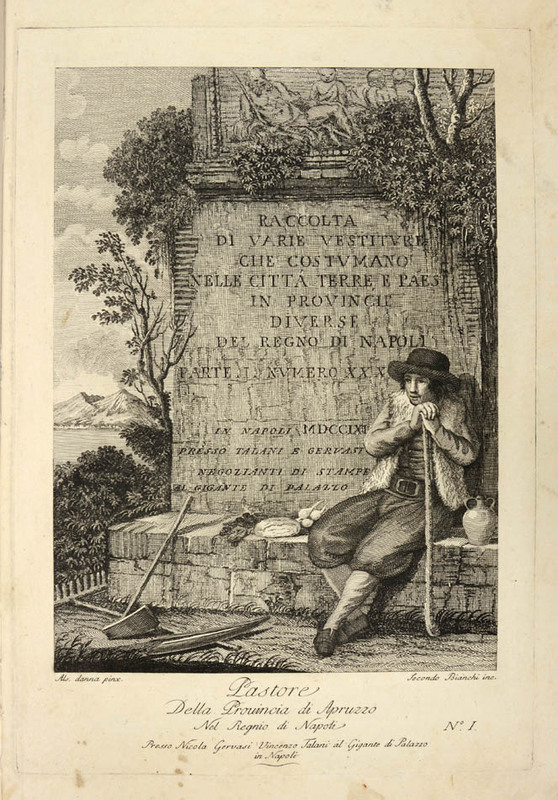 A competition was held in order to select artists, and it was won by Xavier Della Gatta and Alessandro D&apos;Anna. 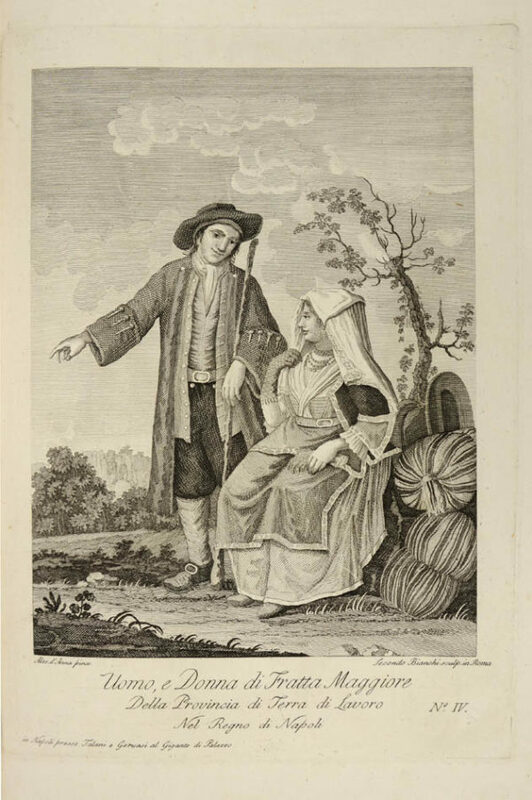 Della Gatta and D&apos;Anna then travelled through the kingdom over what was often rugged and dangerous terrain, making drawings of the finest subjects. 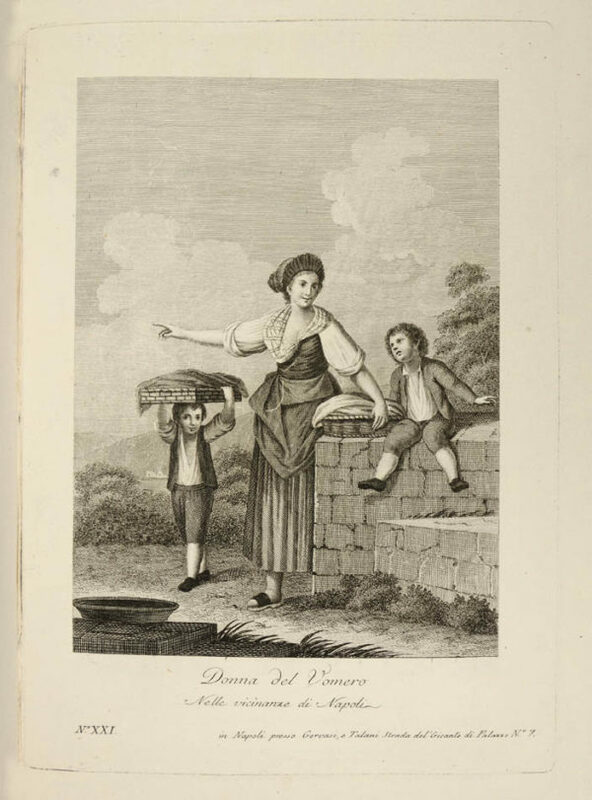 The whereabouts of the original drawings is unknown, but at some point they must have come into the possession of the publishers Talani and Gervasi, who used them to produce the present work. Most of the engravings are of women. All the subjects are set against fully landscaped backgrounds, making this a particularly attractive and evocative work. First edition. 2 parts in 1 vol. 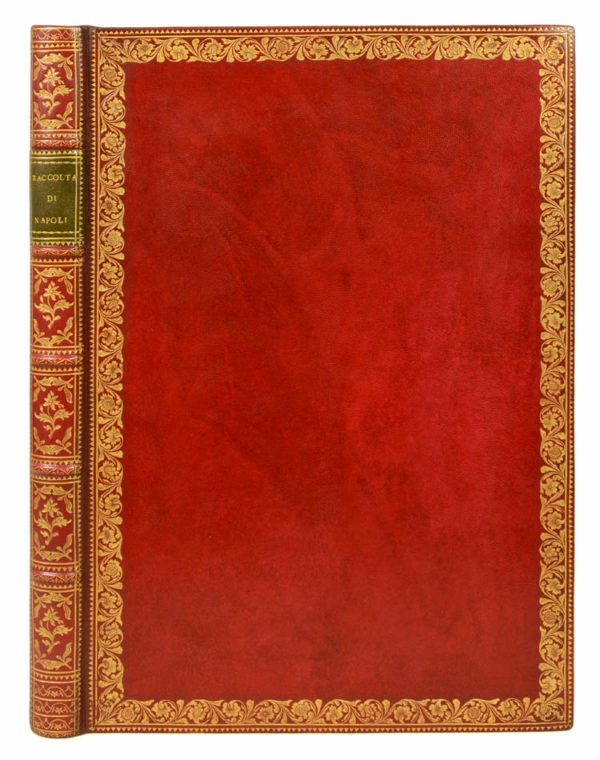 Folio (39 x 26.5 cm), engraved general title, 60 engraved plates by Bianchi after Alessandro D&apos;Anna, occasional light soiling, modern period-style red morocco, richly gilt, marbled edges. Brunet IV 1075; Colas 2468; Vinet 2303.